For a long time I've sought to share my firm and deep belief in the importance of heeding Prophetic counsel. Many, even in the church, have perhaps not studied or understood the vital role of mothers in the home. We all need the Lord's help in raising our children. He has promised to give it if we obey His counsel. We must ever keep in mind that it is the design of Satan to thwart the plan of our Eternal Father. The plan of the adversary is to destroy the youth of the Church—the “rising generation,” as the Book of Mormon calls them (see Alma 5:49)—and to destroy the family unit. Adam and Eve....labored together; they had children together; they prayed together; and they taught their children the gospel together. This is the pattern God would have all righteous men and women imitate. Since the beginning, a woman’s first and most important role has been ushering into mortality spirit sons and daughters of our Father in Heaven..... her role has been to teach her children eternal gospel principles. She is to provide for her children a haven of security and love—regardless of how modest her circumstances might be. In the beginning, Adam was instructed to earn the bread by the sweat of his brow—not Eve. Contrary to conventional wisdom, a mother’s place is in the home! I recognize there are voices in our midst which would attempt to convince you that these truths are not applicable to our present-day conditions. If you listen and heed, you will be lured away from your principal obligations. Beguiling voices in the world cry out for “alternative life-styles” for women. They maintain that some women are better suited for careers than for marriage and motherhood. These individuals spread their discontent by the propaganda that there are more exciting and self-fulfilling roles for women than homemaking. 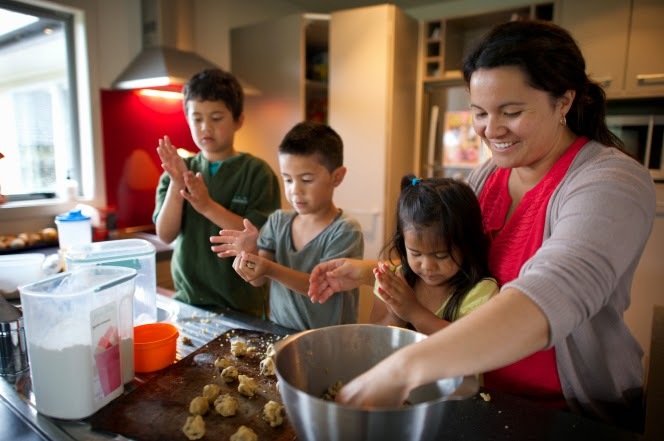 Some even have been bold to suggest that the Church move away from the “Mormon woman stereotype” of homemaking and rearing children. They also say it is wise to limit your family so you can have more time for personal goals and self-fulfillment.